Enriched in soothing, anti-irritant Avene Thermal Spring Water, this product contains a very gentle, plant-based cleansing agent that preserves the protective skin barrier. This no-rinse gentle cleanser is paraben and fragrance free. Extremely Gentle Cleanser Lotion is perfect for sensitive skin types. Apply morning and night with a cotton pad or fingertips with circular motions. Pat dry without rubbing. 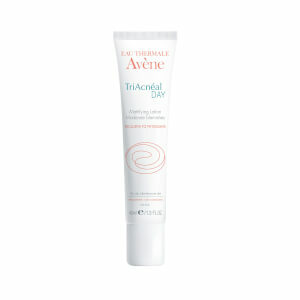 Follow with a fine mist of Avene Thermal Spring Water before applying the Skin Recovery Cream DEFI. Avene Thermal Spring Water, Cetearyl Alcohol, Serine, Cetrimonium Bromide, Coco-Glucoside, Dipotassium Phosphate, Disodium Edta, Disodium Phosphate, O-Phenylphenol, Sodium Cetearyl Sulfate, Water (Aqua). The best skin cleanser I've used for my fair and dry skin. My skin is extremely sensitive and I have tried millions of products. This product is wonderful for my VERY sensitive skin that is often reactive to many things. I use my fingers to apply it and wipe it off with a cotton ball or a tissue! Amazing product. I used to be such a huge fan of Avene's "Extremely Gentle Cleanser for Intolerant Skin", and when it was first discontinued I worried I couldn't find a replacement. Well, this is it. This new cleanser work s so well. It glides onto skin like silk and restores a healthy balance to irritated skin. It seems to nurture sensitive skin and makes it super soft. You can use it with or without water, just remove excess with cotton pad. If you or someone you know suffers with extremely sensitive and irritated skin I highly recommend this cleanser.